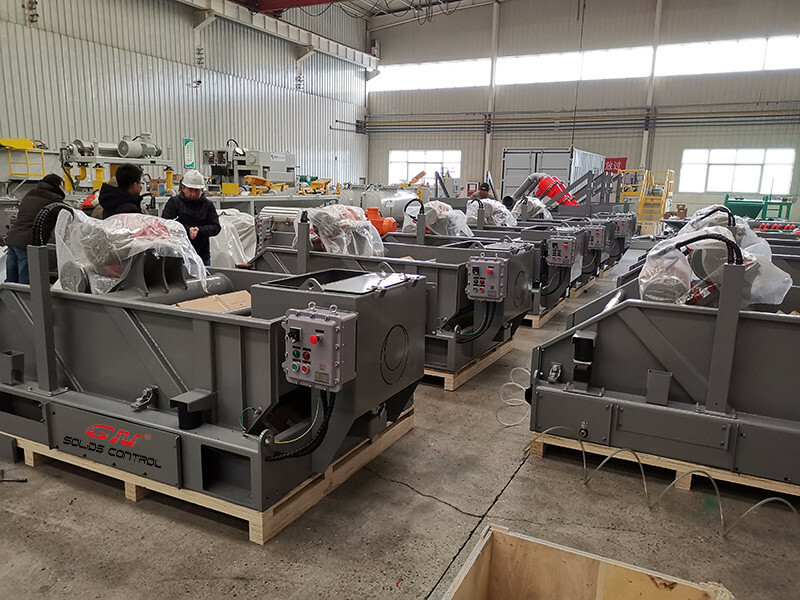 This week one batch of shale shaker, mud cleaner, decanter centrifuge, centrifugal pump shipped to Russia, the client repeat orders every month for oil & gas drilling rig. 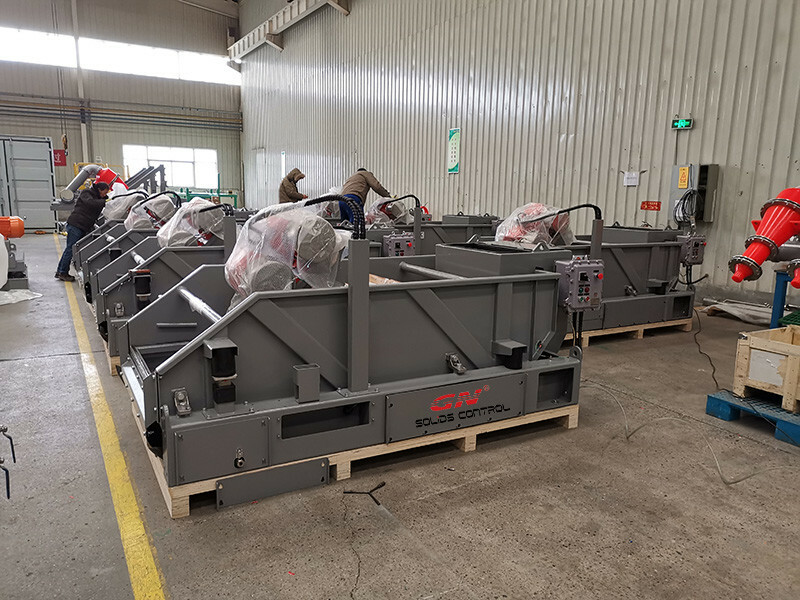 Except for the solids control equipments, they also repeat orders for shaker screens, both for GN own shale shakers and replacement shaker screens for world famous brand shale shaker, all of our shaker screens are composite material frame for longer working life and better performance. The grey color is the customized painting color for this client for all their orders, they fly to GN factory before delivery for inspection. 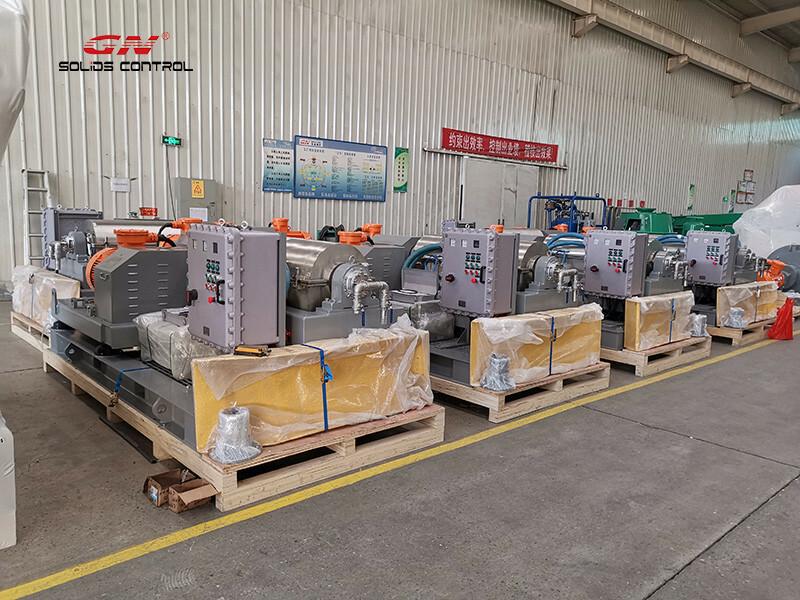 We suggest the client to visit all the Chinese solids control equipments manufacturers before order to check the company’s strength. We will also welcome the client for inspection before dispatch, if China is not convenient, we also invite our international clients to visit our branch company in Houston, TX, USA, we have all the equipments and shaker screens in stock there. Shale shaker is the first phase cleaning for solids control system, and the most important solids control equipments, with good performance shale shaker, the drilling waste will be reduced, the user can save cost and time to treat the drilling waste, more drilling fluids are recovered and reused to save drilling cost completely. The shaker screens are the most important parts for shale shaker, GN composite material frame shaker screen are field proved for longer working life, longer storage life, larger effective screen area, better separation performance. The centrifugal degasser with the same function with horizontal vacuum degasser, it can be installed vertically to save the space on the mud tank and convenient operation, maintenance. 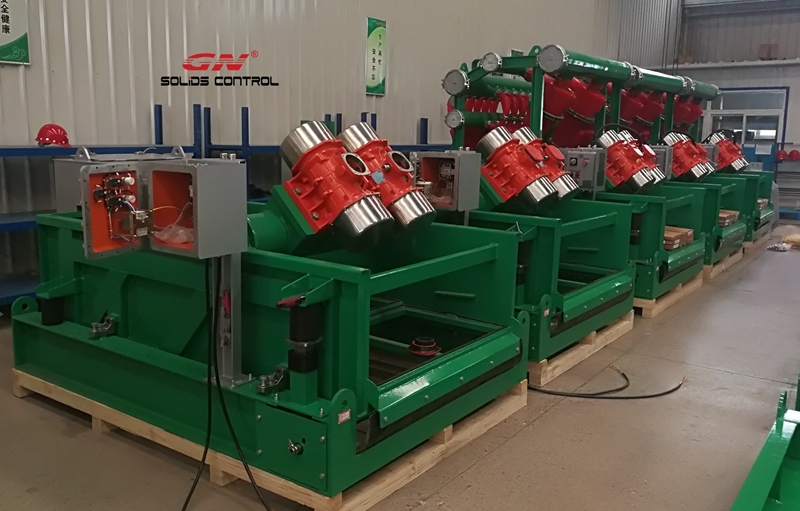 Recently GN solids control shipped shale shaker and vacuum degasser to Uzbekistan drilling company, this is not the first order from the drilling companies in Russia Area, we had sold hundreds of linear motion shale shaker, linear motion mud cleaner, vacuum degasser, centrifugal degasser, decanter centrifuge, shaker screens, etc. solids control equipments to Russia clients, also we sold containerized drilling waste management system to Russia area for low temperature drilling activities below -40℃. We have 3 models linear motion shale shaker which can be used for oil & gas drilling solids control system. GNZS703E-HB with treating capacity 528gpm, 3 panel shale shaker with screen area 2.63m2, we use composite material frame shaker screens for longer service life GNZS594E-HB with treating capacity 616gpm, 4 panel shale shaker with screen area 2.73m2, we use composite material frame shaker screens for better treating performance. The screen dimension is replaceable with Swaco Mongoose PT shale shaker. The composite material frame shaker screen with 20% bigger effective screen area, and the working life will be much more longer compared with traditional steel frame shaker screen. GNZS593E-HB shale shaker is a new design from GNZS594E-HB shale shaker, for some old solids control system which ever installed other brand shale shaker, there is no enough place to install the 4 panel shale shaker, so we design the 3 panel shale shaker instead of the 4 panel shale shaker, and with the same shaker screen dimension, the clients can use our OEM shaker screens for both GN shale shaker and Swaco Mongoose shale shaker. We have horizontal vacuum degasser and centrifugal degasser for option, horizontal vacuum degasser is a traditional vacuum degasser, centrifugal degasser is installed vertically to save place on the mud tank system, and the maintenance cost is cheaper. 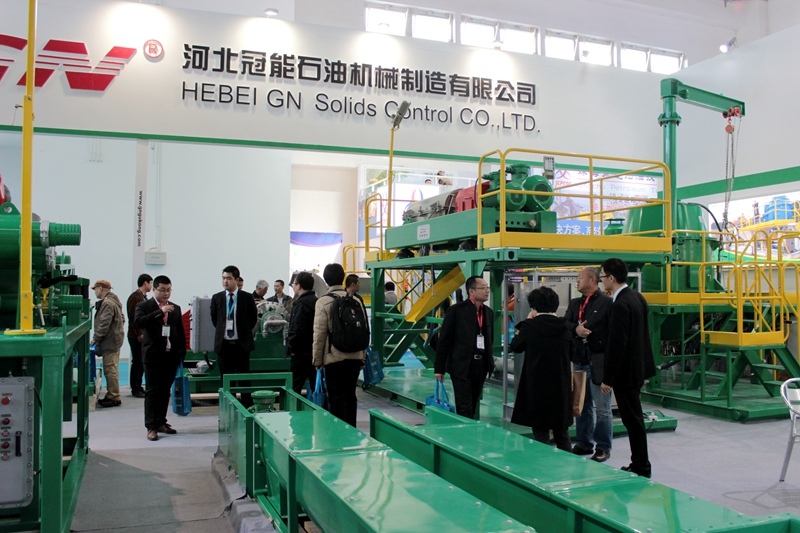 If you required solids control equipments, pls contact with GN solids control. 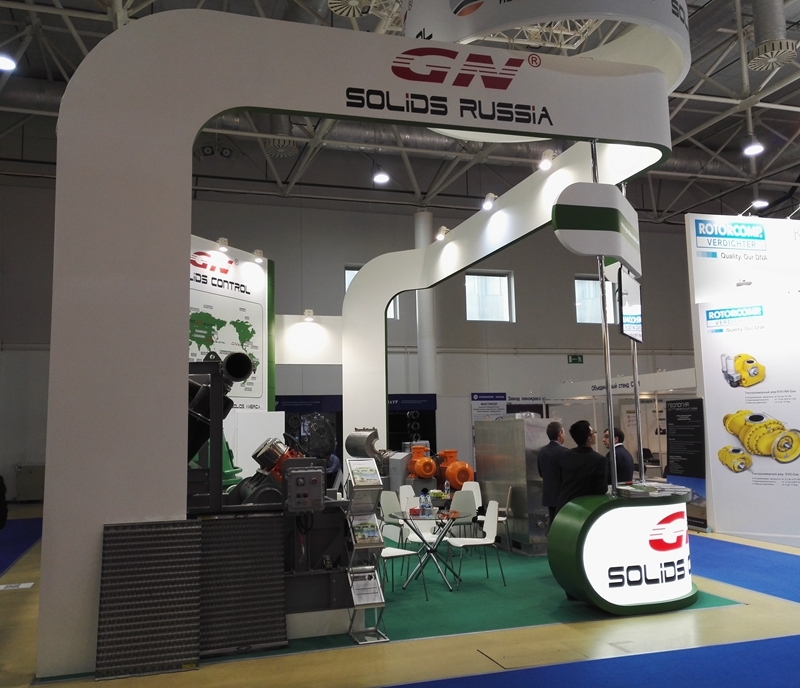 GN solids control will participate the oil exhibition MIOGE next week in Russia, which is the largest oil show in Russian district, this is not the first time for GN to participate this oil show with our exclusive agent in Russia. We will show our core equipments during the show. 3) Decanter centrifuge with max speed up to 3800rpm, we have 9 inch, 14 inch, 18 inch, 22 inch, 30 inch bowl diameter decanter centrifuge for option with different treating capacity and different G force. 4) Shaker screens, all of them are composite material frame for longer working life compared with steel frame screens, we sold thousands of the replacement shaker screens for other brand shale shaker every month in Russia market. 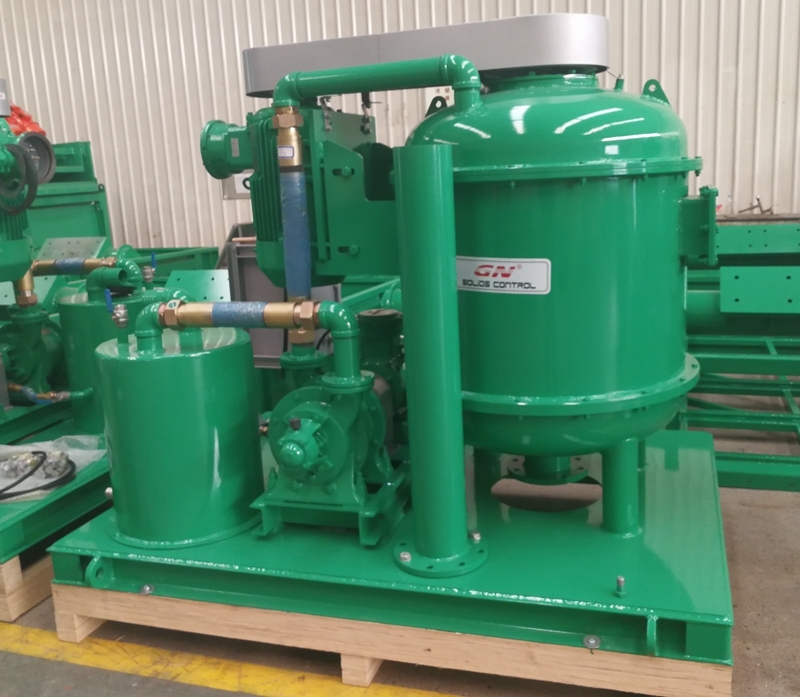 5) Centrifugal type degasser, different with the traditional horizontal type vacuum degasser, the centrifugal degasser is vertical installed degasser, which needs smaller area to install on the mud tank and easy for maintenance. 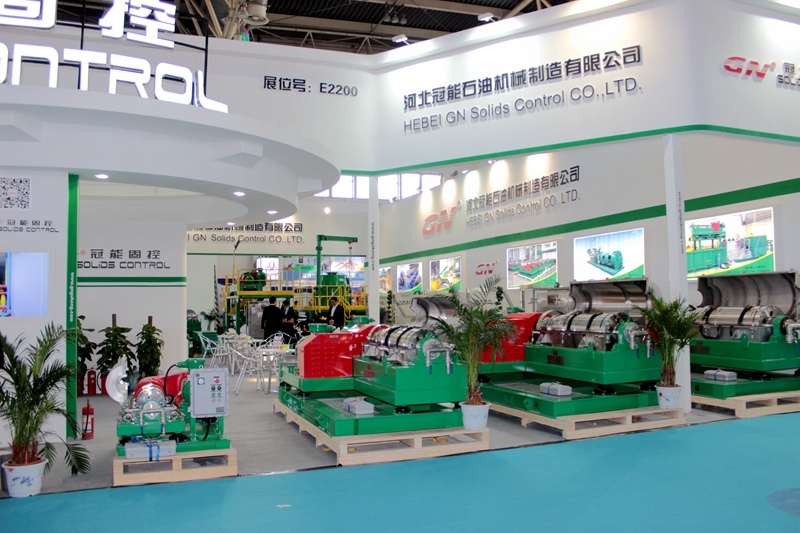 Welcome to visit GN solids control at our stand to know more information. 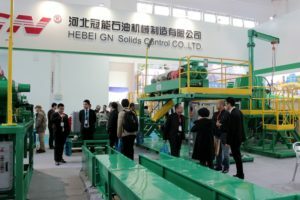 GN solids control will participate CIPPE 2017 in Beijing, China. 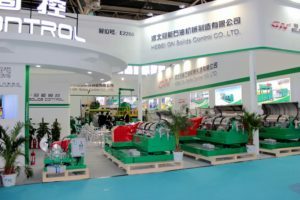 As usual, we will take our traditional solids control equipments and new developed products to show there, because GN solids control factory is very closed to the exhibition center, we can take the equipments by truck easily. What new products we will show? 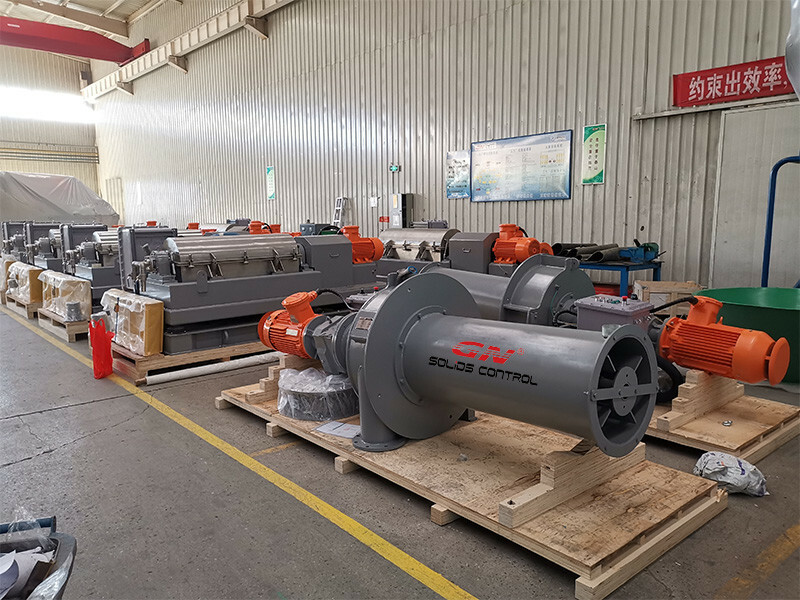 1) Vacuum pump: It is the ideal pump to transfer drilling waste cuttings, oil sludge from refinery tank bottom cleaning, which with high solid content and viscosity. 2) Big bowl big volume decanter centrifuge for tunneling project. Before the biggest bowl diameter we can made is 22 inch bowl decanter centrifuge, right now we can make centrifuge bowl diameter up to 30 inch. 3) Centrifugal degasser: Different with horizontal type vacuum degasser, the centrifugal degasser with compact design and small footprint, it is easy for operation and maintenance. Except for these new equipments, GN will also take our traditional solids control equipments as usual. Including drilling waste management equipments as vertical cuttings dryer,VFD decanter centrifuge, screw conveyor, mud tank skid. Solids control equipments including 4-panel shale shaker, 3 in 1 mud cleaner, and TBM desander unit( compact design, economic mud system).